As a marketer, I’m acutely aware of the benefits of a well ran promotion. And as a (top 30 under 30) direct marketer, I know the coupon/promo code is a valuable tool for attribution. Still, lately I have become frustrated with all of the discounting going on. I’m going to break this up into at least two parts to make it digestible. 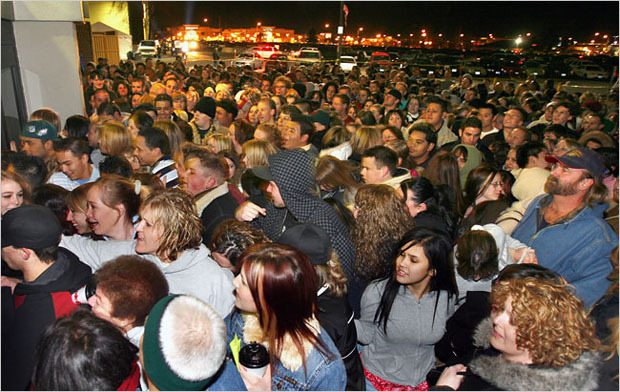 Remember when Black Friday used to mean something? Remember when it was a day of unheard of deals, available only that one day? It was great, wasn’t it? When it first started in the 1970’s, and really grew in the 1980’s, it was a day of great reveal. Nobody, it seemed, knew what deals would await them. Later, websites were created for the sole purpose of revealing the circulars which retailers tried to keep as quiet as they could. And then, what started out as a heavy shopping day due to most non-retail employees being on vacation, started to creep. The creep started in a fairly innocent way. 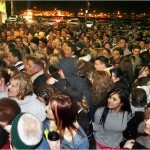 Stores would have day-after-Thanksgiving sales. And then The sales grew bigger and door-buster sales started to emerge. Stores needed the foot traffic and they needed people to shop with them before they shopped elsewhere. Prices, for the moment, could only go so low. Next, stores started to open earlier. First it was 6:00, then 5:00, then 4:00. Once the process started there was no turning back. The every year the door-busters came earlier until they opened at midnight. They could go no earlier. Just kidding. This year Walmart is opening at 22:00 Thanksgiving night. While stores are racing to open earlier than ever, the tentacles of Black Friday started to invade other channels (including Cyber Monday). Signs, circulars, and emails started proclaiming “Black Friday Like Prices”. Amazon.com made the whole week a week of deals. I even saw “Black Friday in July” slogans to tell me just how good of a deal I was getting over the summer. As Black Friday neared, stores no longer strived to keep things secret. In fact, they now actively release circulars early and those sites that used to leak the deals are now commercialized versions of their old selves. The immediacy of the day has been going downhill for quite some time. Then, Walmart pulled a game-changing move – again. In 2011 they will not only match competitors Black Friday prices on Black Friday (as they did in 2010) but are offering a price match that “is both forward looking and retroactive”. Basically, as long as supplies last, you’re good to go all season long. Talk about a lack of urgency. Now, the important thing to keep in mind is that I’m not sure what the alternative is for these stores. The fact is consumers have a finite amount of money to spend on gifts and if a store doesn’t attract them in and get the consumer to spend at their store, the consumer will just go someplace else. Ultimately the consumer is the one who decides when enough is enough. Will you be heading out at 22:00 on Thanksgiving night to shop? This entry was posted on Tuesday, November 22nd, 2011 at 10:50	and is filed under Marketing, Non-Web Analytics. You can follow any responses to this entry through the RSS 2.0 feed. You can leave a response, or trackback from your own site. Nope. I’ll be home Thursday, giving thanks (it is called Thanksgiving, after all! ), enjoying my family and perhaps taking in a board game or a good book. The creep is worse than you describe, btw. A number of major chains, including Sears, Kmart, Wal-Mart and Old Navy, will be open during the day on Thanksgiving. Enough is enough! In this economy, the people who work there can’t decline to work, but the rest of us can vote with our feet, and decline to turn Thanksgiving into just another day of acquisitiveness. WordPress generated this page with 32 queries, in 0.066 seconds.